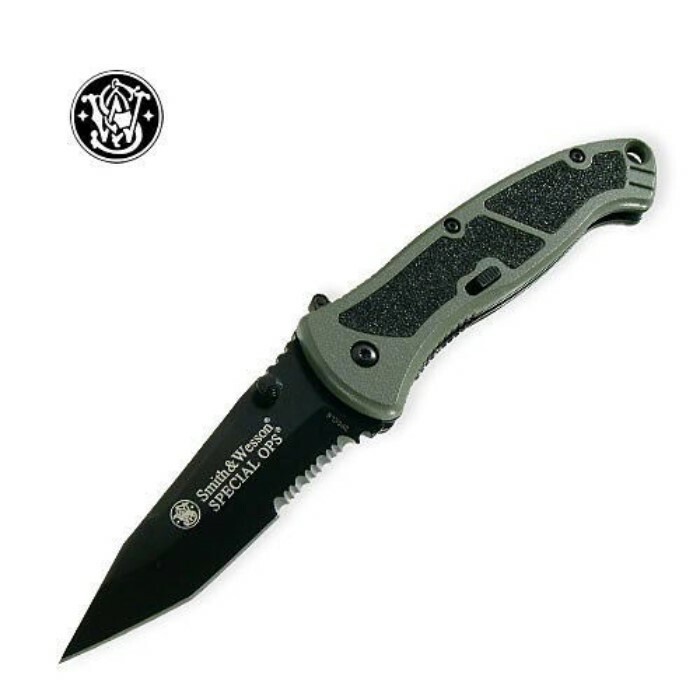 Smith & Wesson's Large Special Operations Unit pocket knife features a partially serrated black coated stainless steel tanto blade with thumb stud. Access the blade with Smith & Wesson's M.A.G.I.C. assisted-opening system.